Yes, we know the Tootal Scarf is a classic and the new range is well worth checking out. 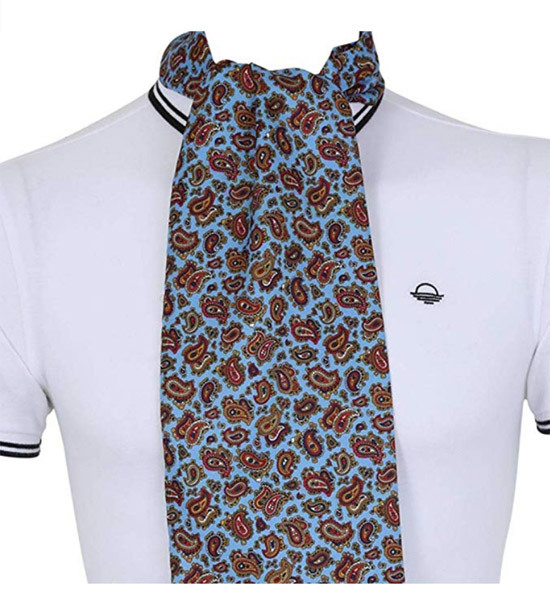 But if you fancy a change, check out these other 1960s-style mod scarves. They are in no particular order, but all are worthy of your attention. 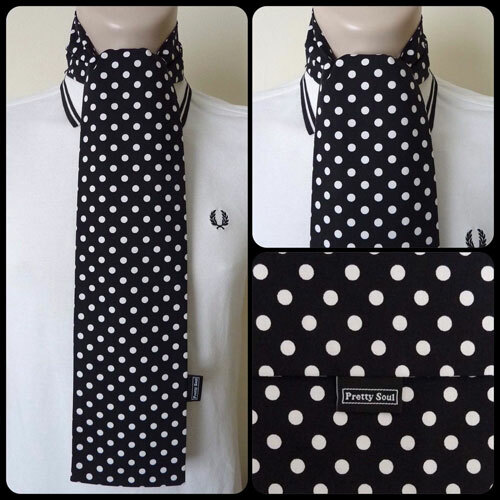 In fact, so are the Fred Perry x Tootal scarves (pictured above), but as they are still Tootals, they don’t make the list. Let’s kick off with the premium end of the market, which is definitely Peckham Rye. Made from the finest graded pure silk twill and finished with unique hand knotted Victorian styled ornamental silk fringes, this is a scarf to get you noticed. It’s also available in a vast array of finishes (paisley in particular) and supplied with a diagram of 12 of recommended ways to fasten in. 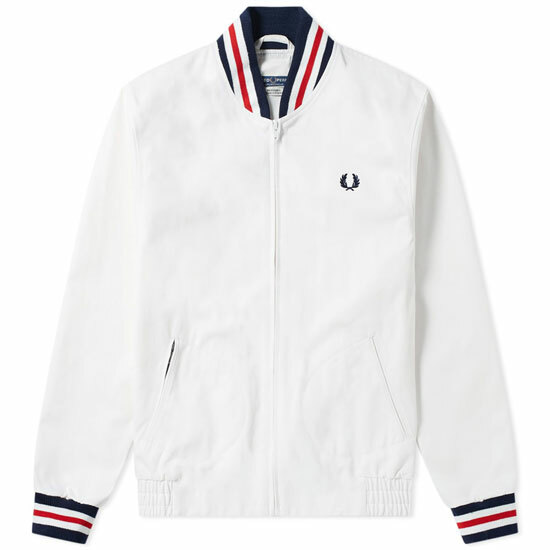 You are looking at around £67.50 for one of these, although you can find them for sale a little cheaper on eBay. If silk is a little lavish, you could always opt for something with a similar look from Totally Mod. The maker / seller produces a vast array of scarves, from gingham to polka dot through to a bold paisley and some Liberty prints. The scarves are primarily made of cotton, but don’t look to have the tasseled edges just yet. But speaking to the people behind the label, they are going to introduce the edgings soon, so do look out for those in the coming weeks. Great value regardless, selling from £10. 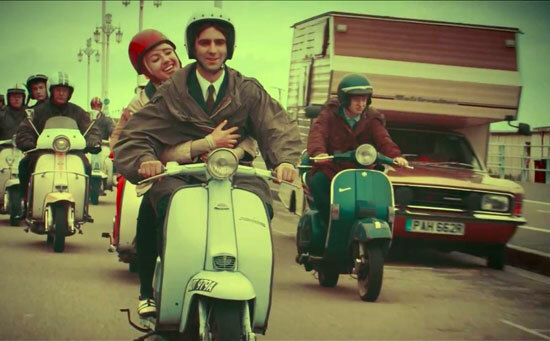 Operating in similar territory to Totally Mod is a brand we have featured on these pages before – Pretty Soul. 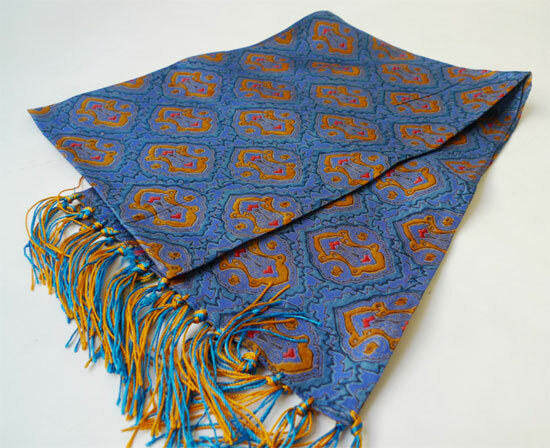 Again, you have a 1960-style ‘look’ and a variety of finishes, with each scarf made from 100 per cotton with tubular construction and Pretty Soul branding finishing them off. £10.95 plus free postage for these. Made in London and with plenty of character. 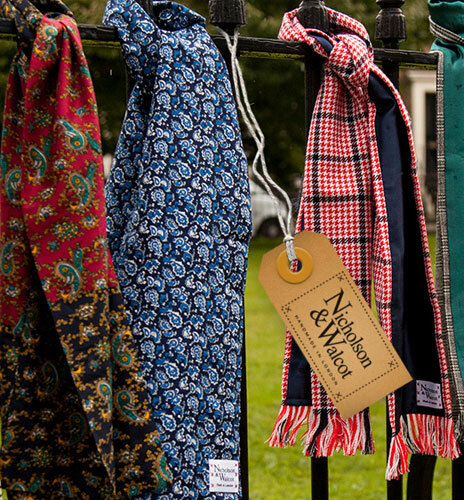 Nicholson and Walcot scarves are definitely worth checking out. These are more for the ‘gent’ and is some cases, for the colder time of year, with many of the designs lined to keep you warm as well as stylish. But if you want something more mainstreams, you can get the silk fringed scarf with a diamond weave pattern for £50. If you want cheaper, some lovely designs with straight or slanted hems start from £30. The shop is a must-visit if you are in Brighton and because they stock items like the classic 1960s scarves you see here. Very much in the Tootal style with the look, not least with the knotted edges and bold vintage-style cloths. Some (but not all) JTG scarves are limited editions (like the one above) but all are silk and sell from £40. 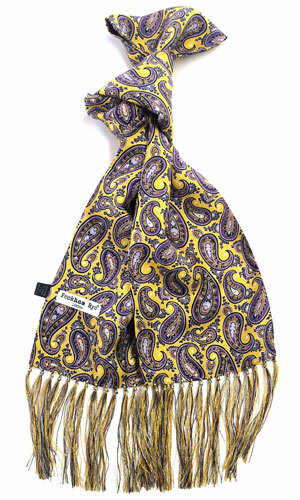 A bit of a crossover with some of the cheaper brands above, but these 1960s-style Soho scarves are well worth a look. The scarf above is typical, but there are a lot of different vintage cloths to choose from, adding up to quite a sizeable range. The one thing to note, again like some of the scarves above, is that the ends are sewn and not frayed. If you want the latter, go for one of the more premium scarves or opt for a Tootal original. Well-priced for Tootal alternatives at £11 each and as they are on Prime, free delivery if you have that. 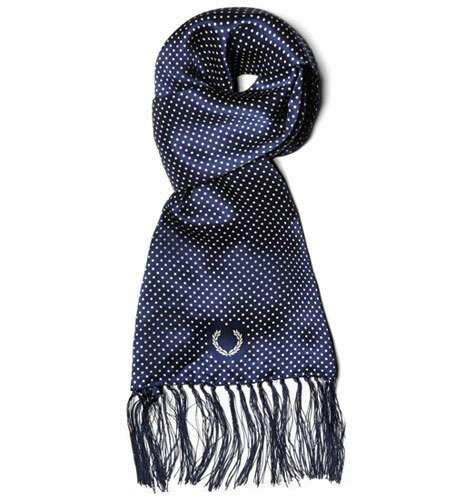 A few other Tootal alternatives include a polka dot scarf from AGC, while Michelsons of London do a narrow, Tootal-style silk scarf for around £26. 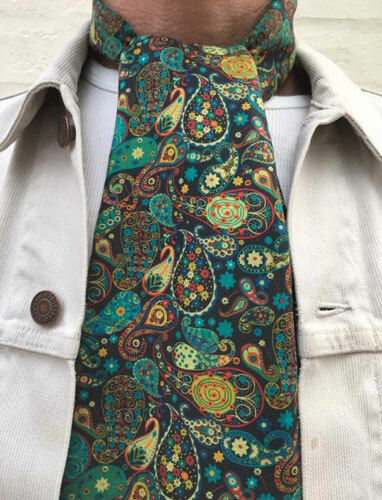 Also check out paisley silk scarves from Knightsbridge, (not cheap at £50+) plus vintage-style scarves from Sheffield-based Calle Modista for around £25. Of course, you can always pick up an original vintage Tootal scarf on eBay as well.